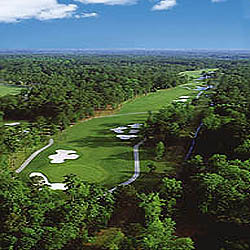 Carolina Shores Golf and Country Club features immaculate rolling fairways, large greens, narrow tree-lined fairways surrounded by huge trees, 10 natural crater lakes, and 96 sand bunkers. It's a real local favorite for all the regulars in the Brunswick County town of Calabash. Golfers from around the world join the locals year after year to challenge Carolina Shores.